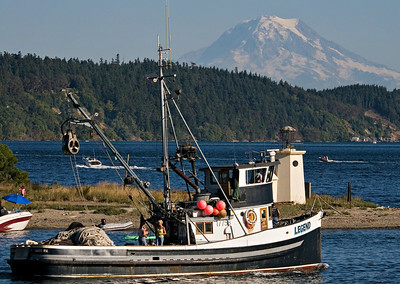 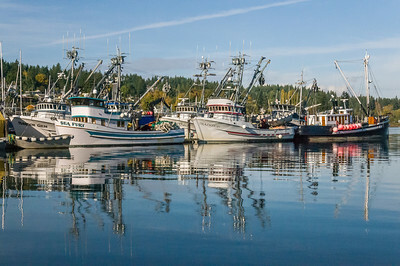 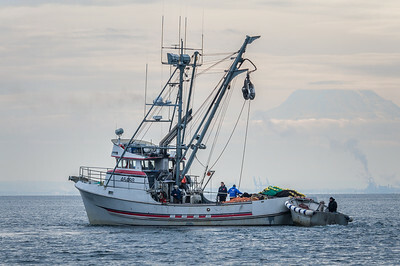 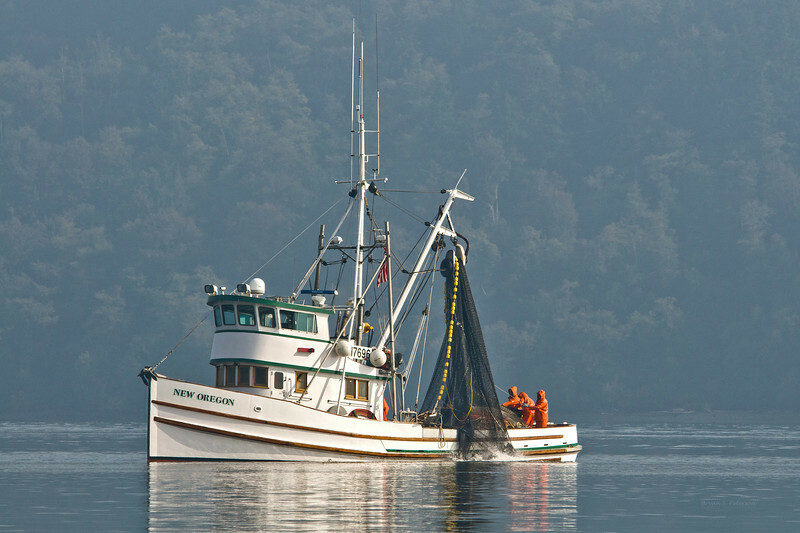 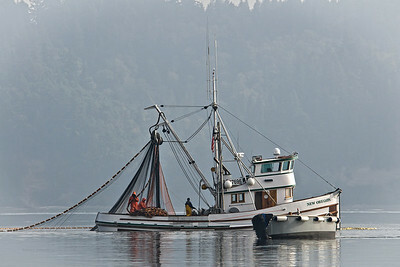 Images of the commerical fishing vessels of Puget Sound and the west coast. 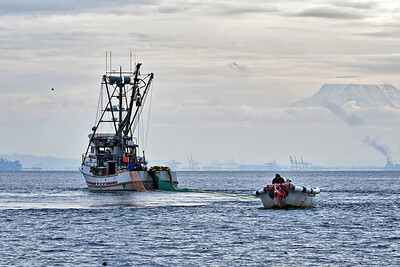 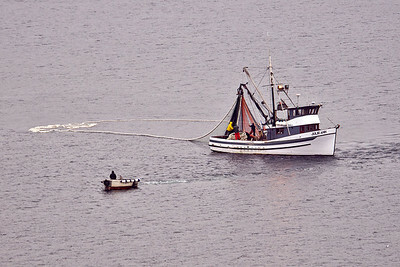 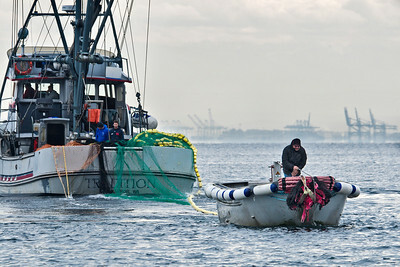 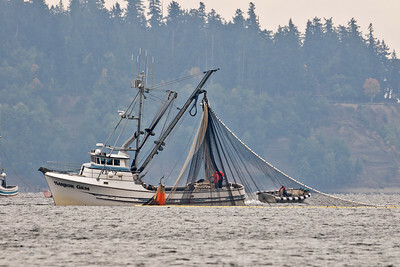 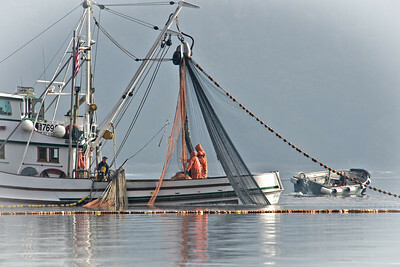 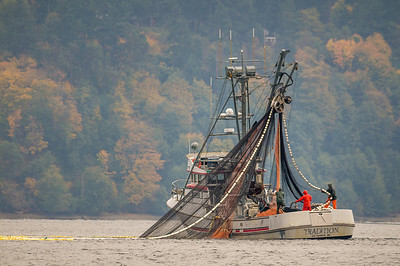 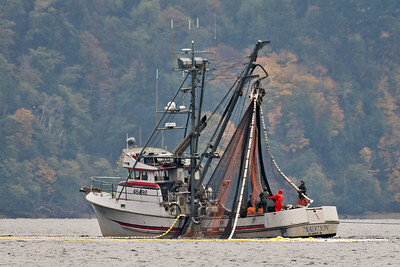 Many of the images are of the Gig Harbor purse seine fishing fleet in action on Puget Sound in Washington State. 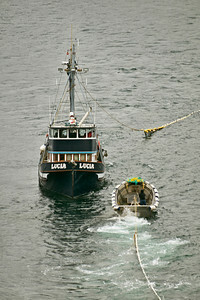 Purse seine fishing boats from Gig Harbor, Washington fishing southern Puget Sound on October 18, 2010. 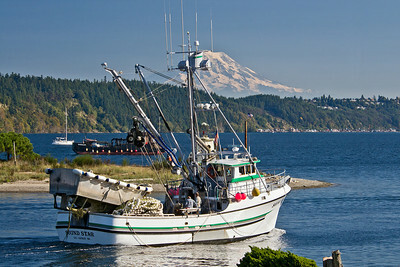 Purse sceine fishing in Puget Sound outside Gig Harbor, Washington. 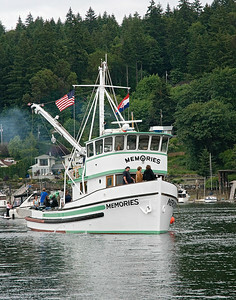 2009 Gig Harbor Blessing of the Fleet Ceremony. 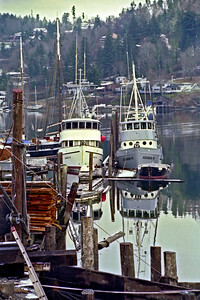 Two of the purse seine fishing boats that used to be owned by Gig Harbor fishermen. 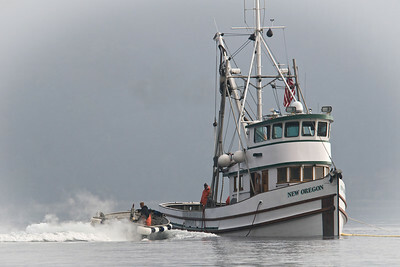 The boats may be up in Alaska now or gone for good--no one really knows for sure. 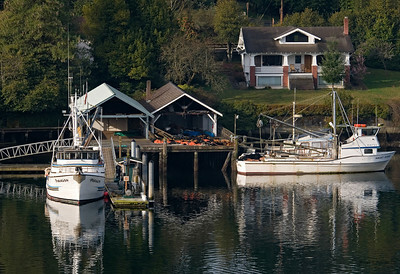 Photo taken in the later half of the 1980s in Gig Harbor, Washington. 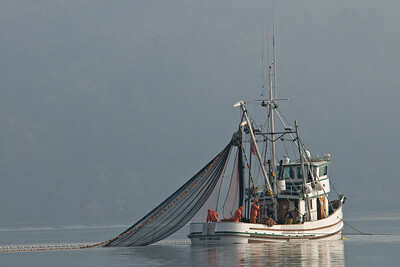 Photograph of an old Columbia River style gill net fishing boat taken sometime in the later half of the 1980s. 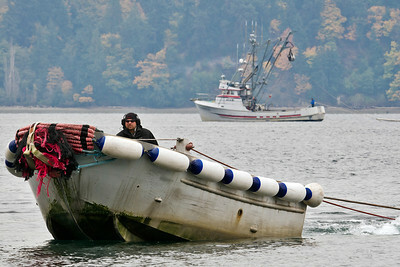 The boat is gone now and the place where it is resting is now a big condo. 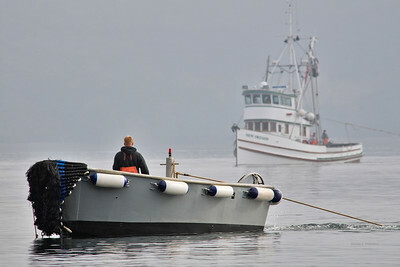 Purse seine fishing boats from Gig Harbor, Washington fishing southern Puget Sound on October 18, 2010. 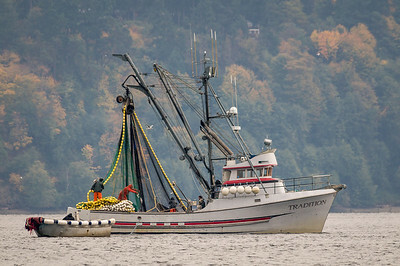 Built in 1982 by Delta Marine Industries Inc., Seattle, WA. 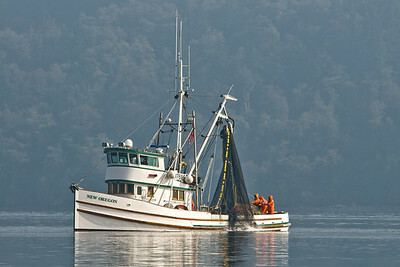 49.6 feetl long, 19' beam, 10.1' draft and 72 gross tons. 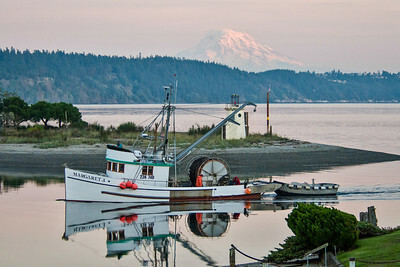 Owned by Edward N. Manning Jr. 11170 Ridge Rim Trail SE, Port Orchard, WA 98367. 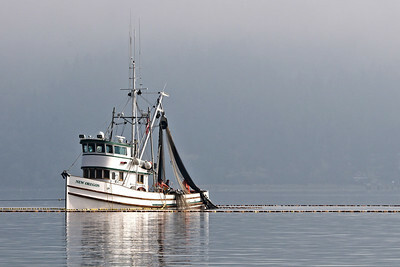 Purse seine fishing boats from Gig Harbor, Washington fishing southern Puget Sound on October 18, 2010. 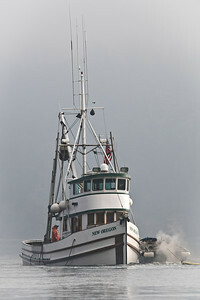 Mary Louise B, built in 1967. 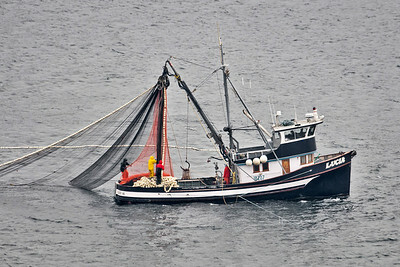 49.3' lont, 17' beam, 8' draft and 50 gross tons. 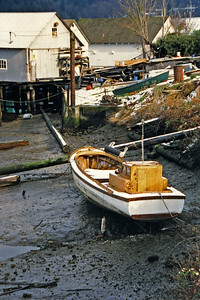 Owned by Thomas J. McIlrath, 21415 146 Ave E - P.O. 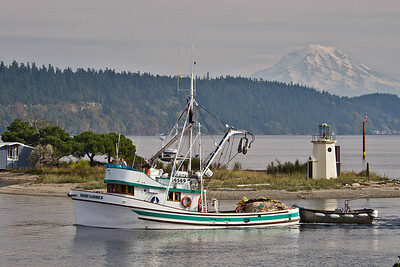 Box 1198, Orting, WA 98360. 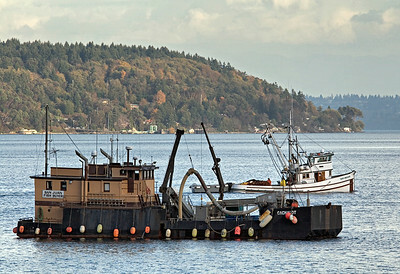 Purse seine fishing boats from Gig Harbor, Washington fishing southern Puget Sound on October 18, 2010. 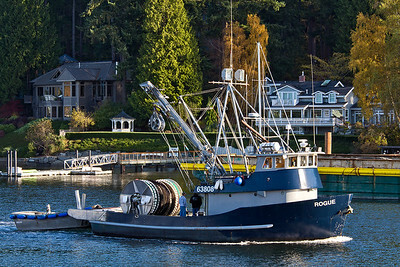 Built 1927, 29' long,13.5' beam, 6.2' draft and 28 gross tons. 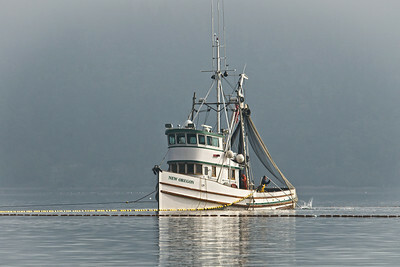 Owned by Griffin Bay Fisheries LLC, 349 West Hemmi Rd., Bellingham, WA 98226. 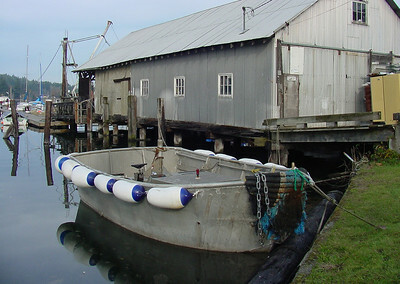 Built in 1963 by Marine View Baot Building Co. 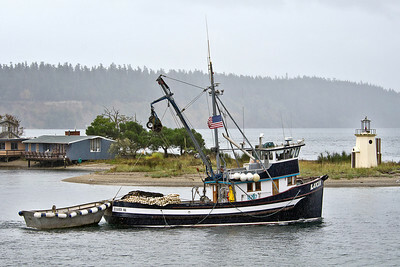 Originally known as Ruth S she is 49.3' long, 17' at the beam, a draft of 8.4' and is rated at 52 gross tons. 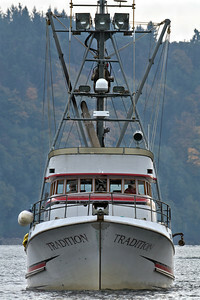 Built in 1971 she is 48.4' long with a beam of 19' and a draft of 9.2' with gross tonnage set at 67 tons. 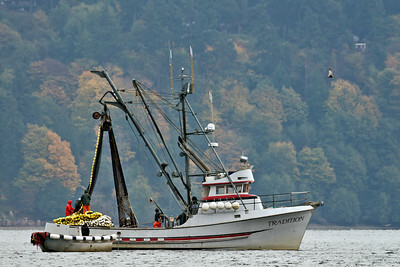 Registered out of Tacoma, Washington. 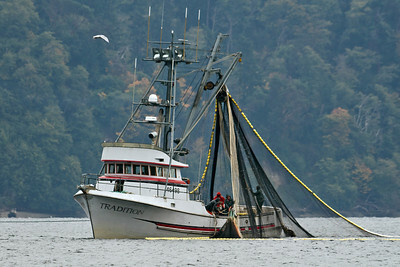 Owner; Donald A. Thurston, 9224 Lohrer Lane NE, Olympia, Washington 98506. 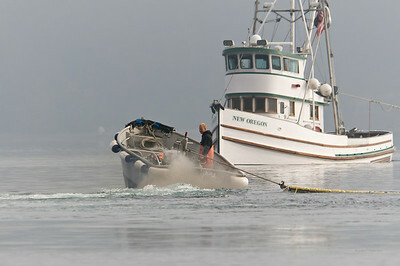 He is the first and only registered owner of this boat. 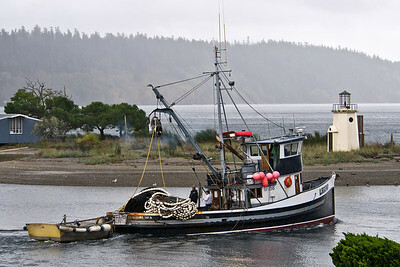 2009 blessing of the fishing fleet ceremony in Gig Harbor, Washington.